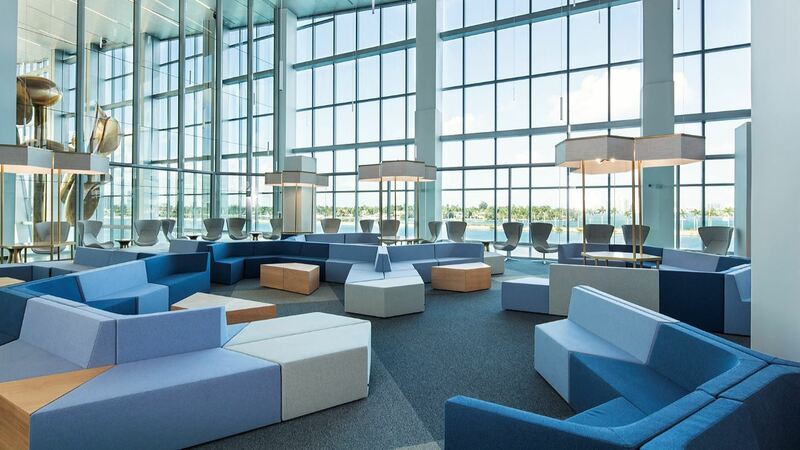 Royal Caribbean Cruises Ltd. has officially opened its new Terminal A in Miami. 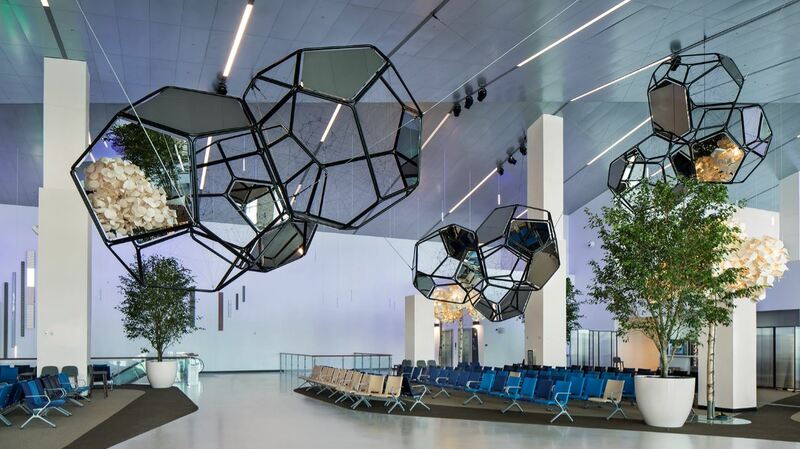 The new terminal is a striking addition to PortMiami and will serve as homeport to Royal Caribbean International ships such as Symphony of the Seas and Allure of the Seas, two of the world’s largest and most innovative cruise ships. Almost 50 years ago Royal Caribbean was founded in Miami. To underscore their commitment to the city the company has opened a new cruise terminal. 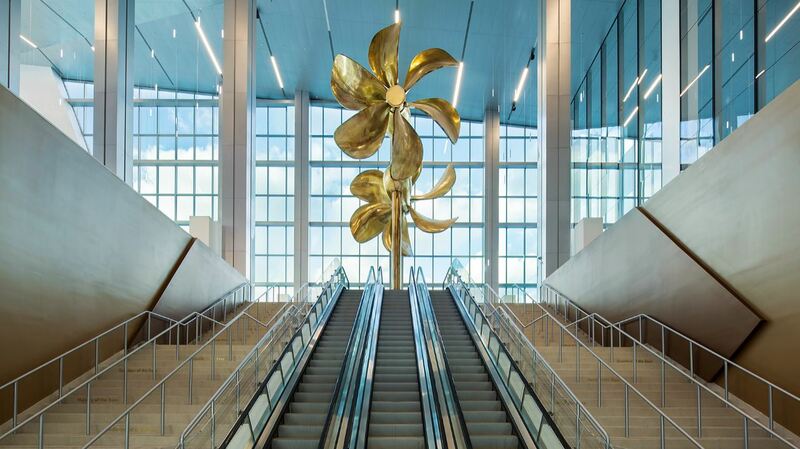 Nicknamed the “Crown of Miami“, Terminal A will play an important milestone in the growth of the cruise industry in South Florida and welcome even more visitors to Miami. Terminal A will accommodate the passengers of two of the world’s largest ships in the Oasis class, the new Symphony of the Seas and her sister, Allure of the Seas. The new LEED certified facility, which is the largest and most modern cruise facility in the U.S., has leveraged new technologies to enhance the waiting areas and boarding experience of guests. 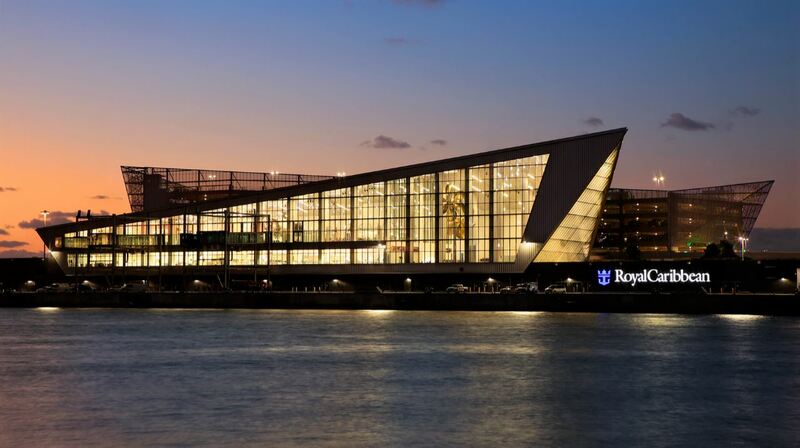 Overall, the design evokes the points in Royal Caribbean’s crown and anchor logo when viewed from the water, the ‘M’ of Miami when viewed from the east or western approaches and a sense of waves rising or ships passing when viewed from the terminal side. As a result, the terminal will serve as a dynamic addition to the Miami skyline.